The good news: The miserable flu outbreak season has almost peaked, and it’s on its way out! The bad news: It ain’t over till it’s over! There will still be cases of flu through April or May, so prevention and care continue to be important. The flu vaccine is available as early as September every year. But it’s still not too late to get it and protect yourself from the full force of influenza. Sadly, the vaccine only 25% effective against influenza A and 42% against Influenza type B. However, the overall protection is a good 50% and that means even if you do come down with flu after the vaccine, it will be a lot milder. Just remember, it can take up to 2 weeks for the vaccine to become completely effective. Consult your local healthcare provider to get the vaccine. It’s best if you don’t catch flu at all! Wash your hands frequently, avoid touching things in public areas. Don’t get too up-close and personal with others, that’s right, be antisocial! Avoiding close contact with your eyes, nose, mouth or cheeks is a surefire way of lowering the risk. And in case you have to do these things, wash up and change clothes as soon as you get home. They are completely ineffective against antibiotics. Flu is a viral infection, not a bacterial one (unless you are down with a secondary infection caused by flu i.e. pneumonia, sinus or ear infections). Overusing antibiotics can lead to complete resistance, so when you actually need antibiotics your body might stop responding to them. That’s why it is important to avoid antibiotic use until it is very necessary. Flu is not an appropriate reason. Panadol and Ibuprofen, in suggested amounts, can help relieve the pain and fever that comes with the flu territory. Some cough and flu medications may already contain acetaminophen, and that’s really all the help you need. It’d still be a good idea to consult your doctor. Since medicines aren’t much help anyway, why not forgo them completely in favor of a home remedy that actually works? A cool compress or sponge bath can help control the fever. Now, remember, the fever is a good thing as it indicates that your body is fighting against the infection and on its way to an eventual recovery. But if the fever isn’t subsiding and it’s accompanied by a stiff neck, headache, shortness of breath or other unusual symptoms, get in touch with a healthcare provider. The stuffy nose is the absolute worst. Try menthol rubs, nasal sprays, expectorants (in case you are coughing), antihistamines and decongestants to help clear up the nasal passages. But do so at your risk, because these carry some nasty side effects such as nausea, anxiety, and insomnia. The nasal spray should not be used for more than 3 days at a time. Keep a cool mist humidifier in your room to make breathing easier, and practice steam inhalation to help ease the congestion. A spoonful of honey soothes your throat and can ease the coughing as well. 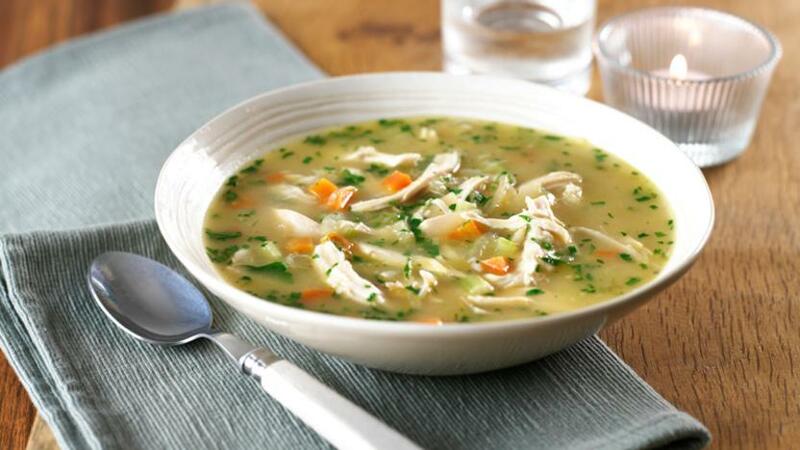 Chicken soup is an old-fashioned remedy that works well to ease congestion and cough while also soothing sore throats. Also, try gargling with warm water with salt dissolved in it. Try about 1 teaspoon of salt in 1 glass of warm water, dissolve and gargle to reduce the swelling in your throat and flush out the irritating mucus.